When someone says "Oh, that's just my work phone," you'd be surprised if it's not an iPhone. But Android does offer an increasingly capable enterprise experience, and more improvements are on the way with Android P this year. Many general new features have been uncovered and announced in recent weeks, particularly since the beta launched at Google I/O, but we haven't heard much about what used to be called Android for Work. 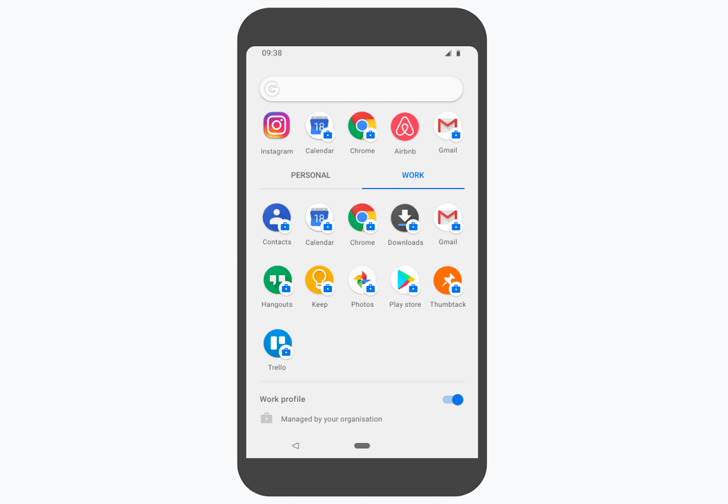 One tidbit that we got tipped about after the first developer preview was separate tabs for work and personal apps in the updated Pixel Launcher's app drawer, and now Google has outlined that feature and some others in a blog post. Corporate data security is paramount—particularly in industries with regulations like HIPAA which include steep fines for negligently handled personal data. Accordingly, allowing employees access to that data on mobile devices is not without its share of risks, as the potential of malware or lost/stolen devices may result in expropriated data. Google has introduced an extra step for IT managers to ensure that devices are compliant with corporate-defined security policy. Device Policy will now restrict apps determined to be nonessential (like Chrome or Gmail) from running until a device is returned to compliance. The workplace may be stuffy, but that doesn't mean there isn't space for a tech lover to geek out. You may be the IT guy responsible for managing user accounts and security policies, but just like on your personal phone, you like having access to the latest tools. 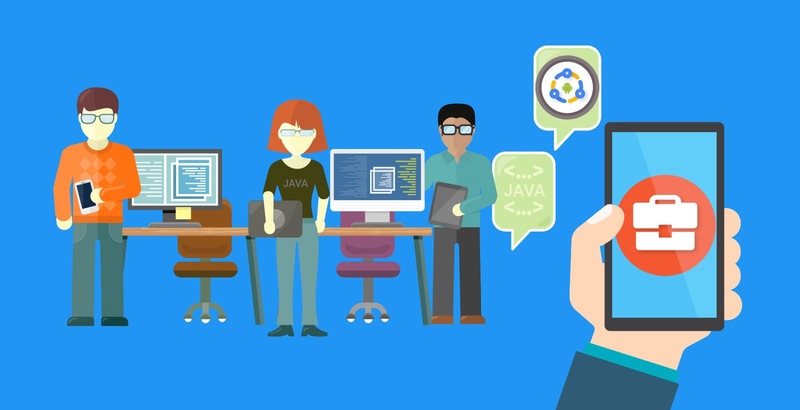 For you, dear corporate tech nerd, Google has introduced Android for Work DevHub. Google is really focused on making Android more work-friendly, and N adds a bunch of new features to improve Android for Work. 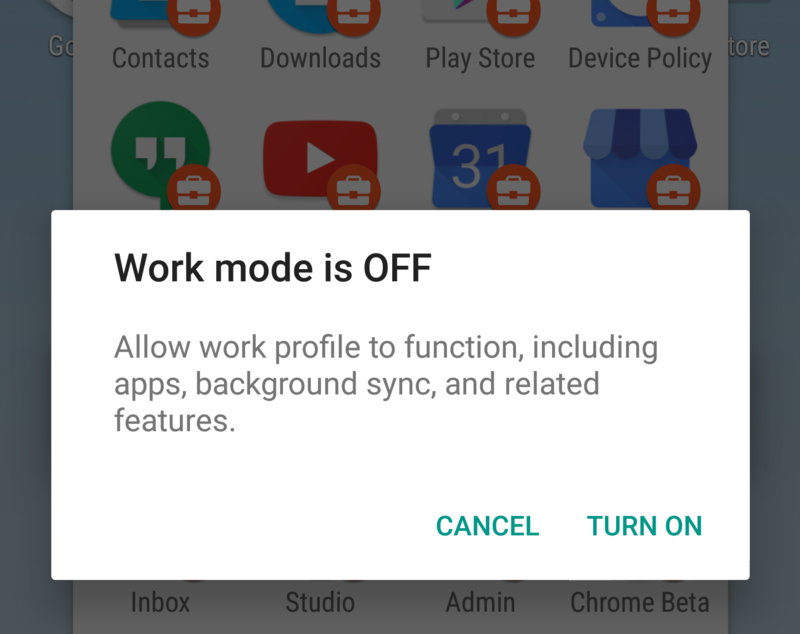 For starters, there's now a toggle that'll completely disable a device's work profile, including apps, notifications, and background sync. 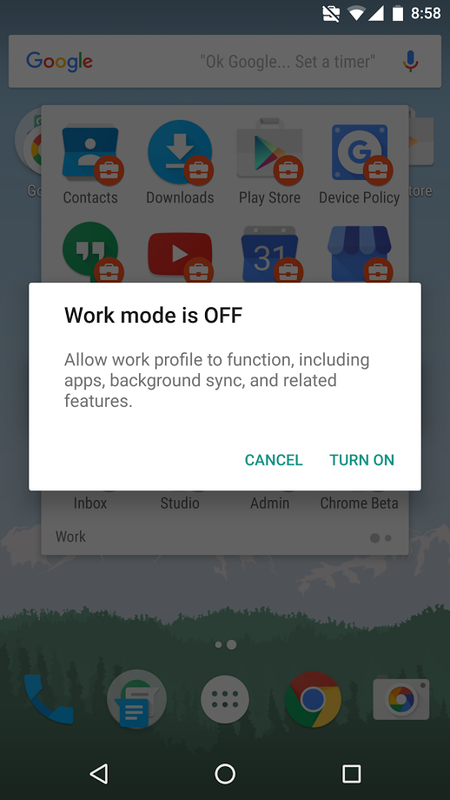 While work mode is turned off, a persistent icon will be displayed in the status bar to remind users that work apps can't launch. Work profiles in N now also support an additional layer of protection by letting administrators specify a security challenge whenever a work app is launched. This challenge may be in the form of either a pin, a fingerprint, or a password, and the administrator can also specify things like the required minimum password length or the password's "quality." 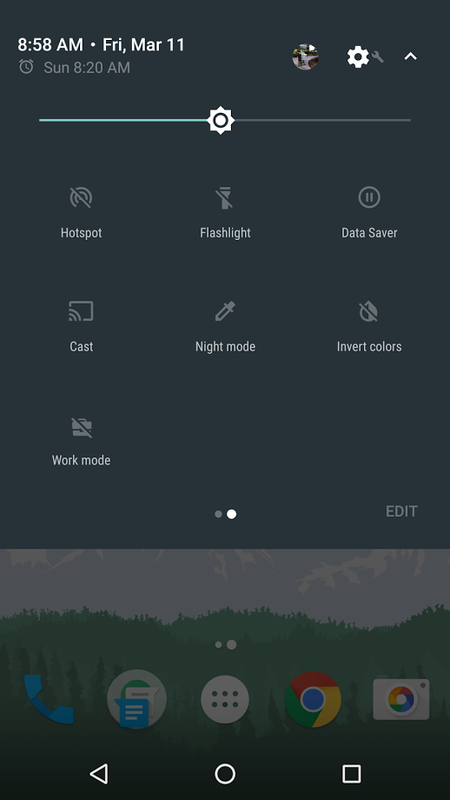 Always-on VPN lets the device automatically start up a work VPN at boot time, so that apps can only access the internet through a "secure" connection. Android isn't all about fun and games. Sometimes you have to use that phone or tablet (but probably phone) for work. Before that, someone has to develop apps for use in a corporate environment. 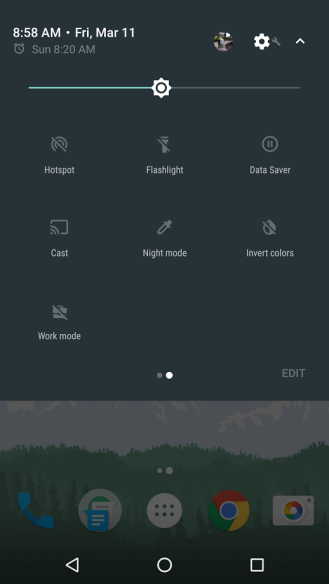 Google launched Android for Work earlier this year, and it's up to other folks to make the apps. Well, Google has recently released an app to make that whole ordeal go by more smoothly. It's known simply as Test DPC. 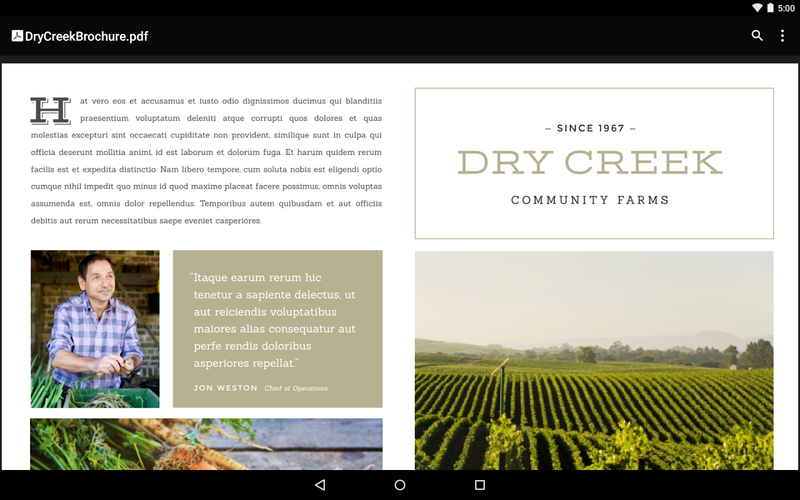 There's a new Google app in the Play Store today—the Google PDF Viewer. 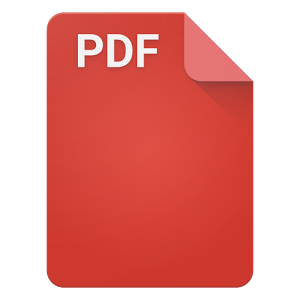 You may be wondering why that exists seeing as Google Drive already opens PDFs. It's that same basic thing, but you don't need Drive. 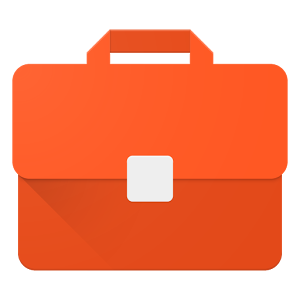 This app is intended mainly for Android for Work, but anyone can install it. After spending years as a kid and many more as a student, we each get to a point where the majority of our time gets sucked into work. This leaves many employees glued to their phones, and unsurprisingly, the tech giants all want it to be their phones. 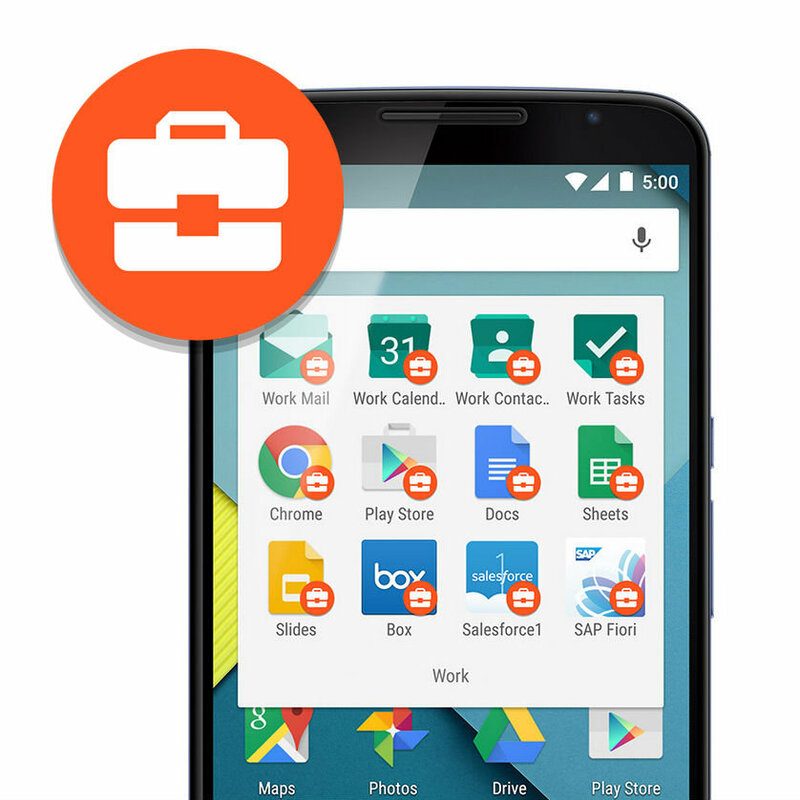 So Google has launched Android for Work, a program that aims to make its mobile platform better suited for the workplace.